Please tell us about the book(s) you’ve written and a short synopsis…What inspired you to write them? As a young woman, I made mistakes in life that I was ashamed of and I’d wish there was someone who would have pointed me in the right direction; to make right choices! So as I grew older, I sought to teach others how to make right choices while they were young. To make right choices in life and to be example for others to follow. I initially published with Thomas and Nelson (Westbow press) in 2010 and since have been self publishing my books. You can purchase two of her books on Amazon or her web site HERE. 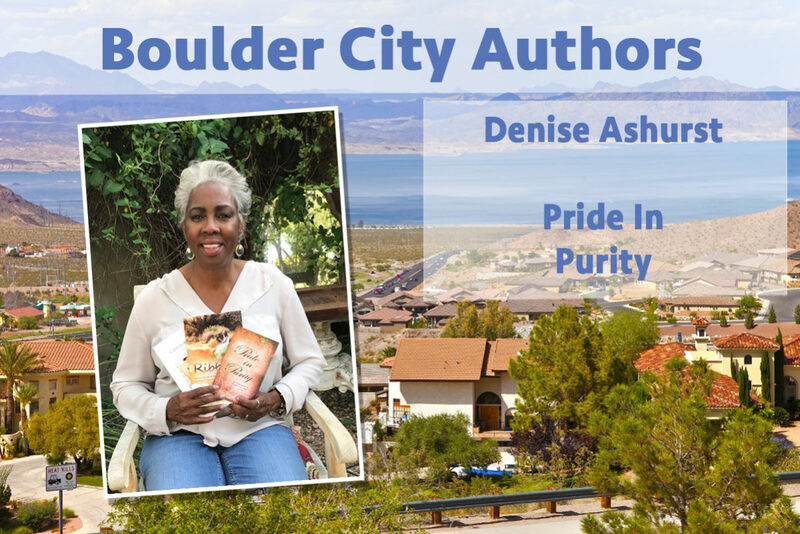 I was teaching women’s Purity Classes, using another author’s book, when confronted and encouraged one day to write my own book, that would be more tailored to the specific issues pertaining to purity as it is presented in the Bible. What would you say to other would-be authors about the process of writing? I did not take a classes or seminars in writing, I found that, storytelling came naturally to me, so putting it in writing was not too difficult. I would however, suggest that those embarking on writing should take a course, to learn the finer points on becoming an author and also the art of marketing. I’ve lived in Boulder City for 14 years. I like the neighborhood camaraderie, and find it easy to traverse around town, walking or biking. I also enjoy the plethora of activities and events Boulder has for such a small town; It’s truly a one-stop-shop kind of town! I was born in Yonkers, New York to Julian and Regina Howard, and the sister of Gerald and Gilbert Howard. Life’s journey took me to twenty years in the Military (Air Force) and thirteen years with the Department of Energy. I’m the mother of three beautiful children, Narada, Danielle, and Jay (stepson). And finally, I love my life style as a single Christian woman, devoting my time, energy and ability to mentor women of all ages! And…this month is another one of the Boulder City Library’s Local Author Fairs! The event is April 27th – 1pm – 3pm. All ages are welcome, in the Community Room. Visit, meet and talk with some of our local writing talent!